Last November marked a significant shift in a number of ways. Not only did seven states approve marijuana legalization initiatives, but a new administration came to power in Washington D.C. that has yet to show its cards regarding moves related to the cannabis industry, which now has a clear majority of Americans supporting legalization. At the same time, Canada has moved aggressively towards full legalization under the Trudeau administration, and the public financial markets have raised millions of dollars to support an industry that has many distinct advantages over their U.S. counterparts, including no inter-province barriers to distribution and the ability to export cannabis products to a world that is adding new markets at an increasing pace and number. CBE’s Political 100 list has always tried to recognize the people who play the largest role in making legally regulated cannabis available to consumers, whether domestically or abroad. Past lists have focused heavily on the advocacy players like Marijuana Policy Project’s Executive Director Rob Kampia, number 1 on the 2016 CBE Political 100 list, who have worked tirelessly to raise money to fund legalization campaigns in the states that they felt had the best chance of success. The past November elections, in many ways, consummated their multi-year efforts with full legalization ballot initiatives passing in California, Maine, Massachusetts and Nevada, with medical marijuana being voted for by popular vote in five other states (Florida the largest among them). At this point, medical marijauna is available in 30 states and the District of Columbia for those that meet qualifying conditions, and adult-use (recreational) cannabis can be purchased in eight states once those newer states (California, Massachusetts and Maine) that recently passed ballot initiatives complete the rule-making and licensing regulatory process for the eventual production and distribution of cannabis in its many forms. More than 205 Million Americans (64%) currently live in states with some form of access to medical marijuana based on our research. When factoring in Puerto Rico and Guam, that’s almost 210 million U.S. citizens who have legal access. Roughly 21% of the U.S. population (almost 22 million) currently live in states where adult-use marijuana is legal and available in a regulated environment. That said, large population states like Texas, Georgia, North Carolina, Virginia, Tennessee, Indiana, Missouri and Wisconsin, all of which are larger than Colorado – a state that just reported over a billion dollars in sales, through the first 8 months of 2017 – have yet to approve medical marijuana access for their citizens. So there is still a significant amount of work to be done here at home. On the international front, legalization of medical marijuana has moved ahead with programs in Canada, Mexico, Colombia and Uruguay (full legalization). The European market is opening up as well, with regulatory initiatives in Germany, Italy, Spain, Portugal, the Czech Republic, The Netherlands and this past summer Poland. Other countries are likely to follow suit. In the Pacific rim, Australia is moving ahead with its medical marijuana program. And even the Philippines, where Philippine President Rodrigo Duterte’s has instituted a bloody and draconian crackdown on the illegal drug trade, is moving towards establishing its own regulated program. But let’s not forget the Israelis, who have not only had a medical marijuana program in place for years, but also are arguably the most progressive behind the science of cannabis. It’s no wonder that Canadian firms, which have no inter-province barriers like U.S. states, and also have the ability to export, are ramping up production to provide cannabis to the European Union, Central and South America, and the Asian-Pacific rim, when you consider the massive population and potential demand that these markets represent. That said, the 2017 CBE Political 100 has shifted dramatically as well in three ways. This year’s list reflects the ultra-competitive worldwide industry that is developing. It shifts the emphasis towards federal players who are working to remove impediments to the U.S. cannabis industry, as well as criminal justice reform. 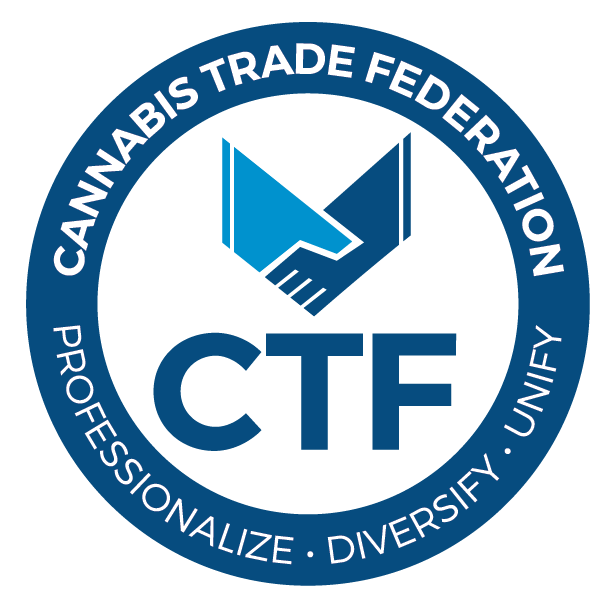 It includes many in the state regulator community who are heading programs that are creating the rules that licensees must comply with to bring safe and consistent product to the cannabis consuming public in the U.S.
CBE also lowered the rankings of many of those in the advocacy community whose efforts have facilitated the political environment. That change in ranking is not because they are any less important, but more so because the industry has evolved dramatically in the sense of worldwide access. The change reflects new developments and the growing importance involved in creating regulatory environments that support the legal industry so that it can compete with and ultimately decrease the significance of the black market and illicit drug trade. It also recognizes those working diligently to legalize hemp domestically, which has tremendous potential on both the nutraceutical market and the industrial products front. A key significant addition to this year’s political list is the emergence of the New Federalism Fund (NFF), headed by Neal Levine of LivWell Enlightened Health, the cannabis company that has led the CBE PPR ranking in revenues for the last two years. The NFF, which has gained the support of many regulated cannabis businesses to remove the impediment to industry development posed by IRS 280E, has found support on Capitol Hill – and from Americans for Tax Reform – to level the playing field for the U.S. cannabis industry. The NFF is also pushing for banking reform to create a safer business environment for operators and consumers. And now, the number 1 ranked individual in the 2017 CBE Political 100 is..
And finally, the 2017 CBE Political 100 list recognizes Prime Minister Justin Trudeau of Canada as the top-ranked political player worldwide because of his support for an industry that is light-years ahead of the U.S. in not only dismantling prohibition, but creating a program that has access to capital on the public markets, with few restrictions outside of creating a non-pharmacy point-of-purchase retail base. Additionally, Trudeau has created a business environment where industry producers and processors have few domestic or international barriers of distribution, unlike the distribution restrictions that state-based U.S. industry operators are forced to deal with. Although the country is still settling details of their total legalization efforts – doctors and law enforcement want more time to study the issue before it goes into effect on July 1, 2018; edibles will still be illegal for a period of time; and the tax and revenue structure is still being worked out – the general consensus is that the program will begin as planned. And, as we pointed out earlier, the Canadians have a huge head start in capturing the lucrative overseas market before the U.S. federal government finally awakens to the realities – and possibilities – of this new, huge industry. But when that finally occurs is still largely in question, with a current administration paralyzed by its crisis mode of management instead of creating a level playing field for everyone in the cannabis industry. That is clearly what U.S. citizens, and cannabis industry leadership, desire. So CBE congratulates all of the members of the 2017 Political 100, and wish you and all of the cannabis consumers continued success in growing the next great global industry. Trudeau succeeded in legalizing recreational cannabis - one of the issues he ran on two years ago - but rolling out the program on July, 2018 has proven to be problematic as the country works out variances in regulations and tries to appease law enforcement. But all eyes are on Canada to see how full, country-wide legalization works. Canada's regulated industry is significantly ahead of the U.S. internationally as a result of the structure of the Canadian cannabis industry accelerating worldwide access to cannabis as a medical solution. The longtime medical marijuana advocate and co-chair of the Congressional Cannabis Caucus (along with Earl Blumenauer) has been active in passing legislation that prohibits the federal government from interfering with states' rights to implement their own regulatory practices. In 2017, the Rohrabacher-Farr medical marijuana amendment to the Commerce, Justice and Science (CJS) Appropriations Bill that prohibits the federal government from using any funds to arrest or prosecute medical marijuana patients or providers that are in a compliance with their states laws - which had been included in every annual appropriations law since 2014 - was blocked by the House of Representatives and was not offered for vote. Instead, legislation was introduced to extend protections for state medical marijuana programs through December 8. The provision, which prevents the Department of Justice from interfering with state medical marijuana laws, was included in a broader legislative package passed by Congress in mid-September, 2017, to fund the government and provide disaster relief. Along with Jared Polis, Blumenauer, co-chair of the Congressional Cannabis Caucus, has sponsored numerous bills to de-federalize marijuana policy and create a framework for the federal taxation of cannabis. In 2012, Blumenauer and Polis introduced the End Federal Marijuana Prohibition Act to remove the Drug Enforcement Agency's (DEA) authority over marijuana, and allow states to choose whether to allow marijuana for medicinal or adult use. Blumenauer's home state of Oregon became the third market to legalize adult-use marijuana in 2015. The amendment he and Rohrbacher sponsored promising no interference by the federal government for medical marijuana businesses was blocked by the House of Representatives in 2017. Instead, legislation to extend protections for state medical marijuana programs through December 8 was introduced. The provision, which prevents the Department of Justice from interfering with state medical marijuana laws, was included in a broader legislative package passed by Congress in mid-September 2017 to fund the government and provide disaster relief. Along with Earl Blumenauer, Polis has sponsored several bills to de-federalize marijuana policy and create a framework for the federal taxation of cannabis. In 2012, Polis & Blumenauer introduced the End Federal Marijuana Prohibition Act to remove the Drug Enforcement Agency's (DEA) authority over marijuana and allow states to choose whether to allow marijuana for medicinal or adult use. His home state of Colorado became the first market to legalize adult use marijuana in 2012. In March, 2017, Polis introduced Regulate Marijuana Like Alcohol Act, that would remove cannabis from the controlled substances act and regulate it like alcohol. He is the co-founder of the Congressional Cannabis Caucus, and is expected to run for governor in 2018, the first openly gay man to do so in that state. Nieto signed a bill to legalize medical marijuana in June, 2017. Despite personally being against legalizing cannabis in Mexico, Nieto has opened the door to changing policy when he expressed in June that the U.S. and Mexico could not follow divergent paths, and that the policies of the last 30 or 40 years have failed. Marijuana has been a staple source of income for violent drug cartels in Mexico. Now a two-term lieutenant governor in California since 2013, Newsom has chaired The Blue Ribbon Commission on Marijuana Policy, which identifies three key issues related to the possibility of legalizing, taxing, and regulating marijuana for adults. He is an advocate and supporter of California Adult Use of Marijuana Act (AUMA) Proposition 64. He is an official candidate for governor of California in 2018, and doesn't shy away from the responsibility of helping to shape a sustainable and regulated environment for a responsible industry. In 2015, as he ramped up his campaign for governor, Newsom organized public hearings with a commission of law enforcement, public health officials and academics to develop policy supporting legalization. He was one of the first to support recreational use, according to the L.A. Times, and has had nearly half a million dollars from cannabis-connected donations to his gubernatorial run as of October, 2017. In February, 2016, California Governor Jerry Brown appointed Ajax as bureau chief of the Bureau of Cannabis Control to oversee the implementation and administration of California's seed-to-sale regulations on medical cannabis. Prior to her appointment, Ajax served as chief deputy director at the Department of Alcoholic Beverage Control, after spending 22 years working her way up the ranks and 10 years in private industry prior to joining state government. The Bureau of Cannabis Control is the lead agency in developing regulations for medical and adult-use cannabis in California. The bureau is responsible for licensing retailers, distributors, testing labs and microbusinesses. In his short U.S. senatorial stint, the former Newark mayor co-sponsored The Compassionate Access, Research Expansion, and Respect States Act (CARERS) which, according to the Brookings Institute, seeks significant reforms in U.S. marijuana policy. He is also a rapidly rising star and likely part of the Democratic Party's recently adopted convention platform pushed by the Senator Bernie Sanders camp, including marijuana legalization and prison reform. In late July, 2017, Booker introduced legislation that would legalize marijuana, expunge federal marijuana convictions and penalize states with racially-disparate arrest or incarceration rates for marijuana-related crimes. In March, 2015, Gillibrand co-sponsored The Compassionate Access, Research Expansion, and Respect States Act (CARERS) which seeks significant reforms in marijuana policy in the U.S., according to the Brookings Institute. In June, 2017, Gillibrand (D-NY) - along with Cory Booker (D-NJ), Rand Paul (R-KY), Lisa Murkowski (R-AK), Al Franken (D-MN), and Mike Lee (R-UT) - reintroduced the Compassionate Access, Research Expansion and Respect States (CARERS) Act, a bipartisan bill that would allow Americans to access medical marijuana in states where it is legal without fear of federal prosecution. The bill would also permit doctors with the Department of Veterans Affairs to recommend medical marijuana to veterans to treat serious injuries and chronic conditions. When the CARERS Act was originally introduced in the last session of Congress, it was the first medical marijuana bill ever to be introduced into the U.S. Senate. Paul is a U.S. senator from Kentucky. An outspoken advocate for industrial hemp, Paul was a Republican primary candidate for president in the 2016 election. He helped stir the national debate regarding cannabis prohibition by introducing bills in the senate that would protect states that have implemented medical marijuana laws, as well as the patients and doctors acting in accordance with state law from federal prosecution. He co-sponsored The Compassionate Access, Research Expansion, and Respect States Act (CARERS) in March 2015, which seeks significant reforms in marijuana policy in the US, according to the Brookings Institute. In June, 2017, Rand, Corey Booker (D-New Jersey) and Kirsten Gillibrand (D-New York), re- introduced the CARERS bill to prevent U. S. Attorney General Jeff Sessions and the U.S. Justice Department from interfering with medical marijuana states. Last year's #1, Kampia has led the Marijuana Policy Project's (MPP) efforts that have been successful in funding legalization initiatives for many years. MPP is the leading organization in driving legislative change, and their fundraising efforts are second to none. In 2016, MPP was a major player in the Arizona, Maine, Massachusetts and Nevada campaigns to Legalize Marijuana Like Alcohol ballot initiatives, and is supportive of the Adult Use of Marijuana Act (Proposition 64) in California. MPP currently has a model state bill to replace prohibition with regulation on its website, "An Act to Regulate and Tax Marijuana Like Alcohol," along with a vast source of other pro-legalization documents and resources. Along with Ed Perlmutter, Heck has led bi-partisan efforts to change federal banking laws that protect industry business owners and federally insured banks. Most recently, the Heck-Perlmutter-Lee-Rohrabacher Amendment passed the House, blocking the SEC and Treasury Department from spending money to penalize banks and other financial institutions for working with cannabis businesses that do not break state laws. In 2016, Heck and Perlmutter attempted to add an amendment to an appropriations bill that would have blocked federal enforcement against financial institutions servicing licensed marijuana businesses. Led by U.S. Representative Pete Sessions (R-Texas), the House Rules Committee blocked a vote on the amendment, effectively killing it. In September, 2017, Heck, with Representatives Perlmutter (CO-07), Lee (CA-13), and Titus (NV-01) submitted two amendments to the financial services division to be included in the House appropriations bill. Both of these amendments focus on banking services for legal marijuana-related businesses and would be a temporary fix until the current legislation, the SAFE Banking Act, is passed into law. The first amendment prohibits any funds in the bill from being used to punish banks for serving marijuana businesses that are legal under state law. The second amendment prohibits the Treasury from altering FinCEN's guidance to financial institutions on providing banking services to legitimate marijuana businesses. These amendments, if included, would allow for legal marijuana-related business to operate according to state laws and enjoy access to the banking system. Along with Heck, Perlmutter has led bi-partisan efforts to change federal banking laws that protect industry business owners and federally insured banks. Most recently the Heck-Perlmutter-Lee-Rohrabacher Amendment passed the house, blocking the SEC and Treasury Department from spending money to penalize banks and other financial institutions for working with cannabis businesses that do not break state laws. In 2016, Heck and Perlmutter attempted to add an amendment to an appropriations bill that would have blocked federal enforcement against financial institutions servicing licensed marijuana businesses. Led by U.S. Representative Pete Sessions (R-Texas), the House Rules Committee blocked a vote on the amendment, effectively killing it. This controversial governor, whose position on cannabis has flipped flopped regularly, oversaw the implementation of Colorado's Amendment 64 to legalize adult personal use of cannabis and enact regulations for licensing its commercial production and sales. To date, Hickenlooper and his public and private sector teams have successfully executed a model legalization program that is helping disprove many of the prohibitionist arguments about cannabis. In tandem, it is filling the state reserves with substantial tax revenues and savings from the state's law enforcement and incarceration budgets. His zero tolerance pesticide policy has also raised the visibility of the need to create industry standards consistent with federal regulations covering other industries. Hickenlooper's term ends in 2018, with Democrat Jared Polis hoping to replace him, and rumors swirling that Hickenlooper may be going after higher, possibly even federal-level, office. Dr. Christ has worked for the Arizona Department of Health Services for more than nine years in multiple positions. In May, 2015, Dr. Christ was appointed as director by Governor Doug Ducey. Dr. Christ started her ADHS career in 2000 as an Infectious Disease Epidemiologist. Cat Packer is the former California coordinator for the Drug Policy Alliance. In August, 2017, she was announced as the executive director of the five-member Los Angeles Cannabis Commission, which will provide input on cannabis rules. In an article announcing her new job in the LA Times, Packer, 26, said the department will protect Los Angeles' neighborhoods, children, the environment and the legal cannabis businesses. In March, 2017, Curbelo, along with Earl Blumenauer, introduced the Small Business Tax Equity Act of 2017, H.R. 1810. This legislation will amend Section 280E of the Internal Revenue Code to allow marijuana businesses operating in compliance with state law to utilize common tax deductions and credits. The bill is endorsed by the following organizations: Americans for Tax Reform, the National Cannabis Industry Association, Drug Policy Alliance, Marijuana Policy Project, Americans for Safe Access and NORML. Santos signed a decree legalizing and regulating medical marijuana in December, 2015. The manufacture, export, sale, and medical and scientific use of cannabis became regulated. Along with the presidents of Guatemala and Mexico, Santos requested and got the United Nations to focus a special session (UNGASS 2016) on drugs and policy reform, rather than another progress review and the continuation of a failed drug policy. That review is what actually happened, but most witnesses at that UNGASS conference came away with the feeling that not much had changed, especially in countries that have had the harshest penalties for marijuana possession. Santos continues to push for more dialogue for the next UNGASS to come in 2019. Polara is the campaign manager for United for Care, Florida. United for Care is the largest organization in Florida advocating for the passage of Amendment 2, "Use of Marijuana for Debilitating Medical Conditions. ", which passed in November, 2016. He is a political consultant and a founding partner of LSN Partners, a Miami Beach-based government and public affairs firm. Polara served as a member of President Obama's 2012 National Finance Committee. He was also previously the Florida finance director for Hillary Clinton for President, and the co-finance director of Alex Sink for Governor. Morgan led the charge on funding the "Vote Yes on Amendment 2" campaign to legalize medical marijuana in Florida, which was narrowly defeated. Morgan was said to have contributed over $4 million to the cause. The United for Care chairman vows that Amendment 2 (the Florida Medical Marijuana Legalization Initaitive) will pass - Amendment 2 was, in fact, approved by voters in the Tuesday, November 8, 2016, general election in the state of Florida. The bill required a super-majority vote to pass, with at least 60 percent of voters voting for support of a state constitutional amendment. The final tally was 71 percent. Then lawmakers revised his bill, adding a no-smoking clause to it, and he sued them with a court date originally scheduled for sometime in August, 2017. Meanwhile he courts rumors that he may run for governor in 2018. In late June, 2017, the governor of Florida signed SB 8-A to legalize medical marijuana in the state seven months after voters approved the measure. Some involved in the process, such as Orlando lawyer John Morgan, who largely bankrolled the constitutional amendment, will challenge part of the bill that bars people from smoking medical marijuana. The bill would allow vaping and other methods of marijuana use. Philip was appointed by Florida Goveror Rick Scott as Surgeon General and Secretary of the Florida Department of Health on May 18, 2016. Prior to that, she served as the Deputy Secretary for Health and Deputy State Health Officer for Children's Medical Services. Dr. Philip is board certified in Family Medicine as well as Public Health and General Preventive Medicine. The licensing process in the state has been slowed by lawsuits and other delays, with new rules calling for increasing the number of licenses. In September, 2017, the office missed a deadline for five medical marijuana licenses, blaming Hurricane Irma in part for the delay. Bax has come under scrutiny for being selected for the job. Stroup started the National Organization for the Reform of Marijuana Laws (NORML) in the early 70s with a clear mission of ending prohibition and assisting those who have run afoul of state and federal laws. Under his guidance, NORML has grown over the past 40+ years to be the leading advocate against the war on drugs. He is a recipient of the Richard J. Dennis Drugs Peace Award for Outstanding Achievement in the Field of Drug Policy Reform, presented by the Drug Policy Foundation. After passing the torch on to others, Stroup still fights for the cause as NORML's legal counsel. In 2017, he began hosting his own television talk show, "The Keith Stroup Show", a weekly D.C.-based show produced by CannaBiz News. In an interview by Allen St. Pierre that appeared in Freedom Leaf, Altieri talked about his history with NORML: "After starting as an intern, I quickly assumed the position of communications director. I ran NORML's federal and state lobbying efforts and legislative out-reach, administered NORML's social media networks, and served as a spokesman to the press. I also became the manager of NORML PAC, and worked to elect marijuana reform-friendly candidates at all levels of government. I helped our candidates properly message and advocate for our cause. My initial tenure at NORML ran from 2007 through early 2015." He then left NORML, but was offered the job as new executive director and returned in 2017. In a NORML blog in October, 2017, Altieri said it might take longer than January, 2018, for California "to set up the regulation process and to work out how the new recreational market will exist alongside its already quite large medical market." Like his Colorado counterpart, Inslee's administration oversaw the implementation of Initiative 502 and signed (in April 2015) Senate Bill 5052, bringing the grey medical market business into the legal and regulated world under the controversial oversight of the Washington State Liquor and Cannabis Board. Through June 2016, licensed PPRs have generated more than $440 million in revenues and an estimated $180 million plus in sales and excise taxes for the state. In August, 2017, he responded to Attorney General Jeff Sessions, who used outdated information to question the legitimacy of the legalized cannabis industry. Garza has been with the board since 1997. Prior to joining the board, he served 13 years as a staff member for the Washington state legislature, including five years with the Washington state Senate and eight years with the state House. Brown replaced John Kitzhaber, the longest serving governor in the history of Oregon who resigned amidst scandal in February, 2015. Kitzhaber was less than supportive of the state's legalization efforts. Brown's administration oversees the implementation of Oregon's legalization legislature. It remains to be seen how the oversight of Oregon's Medical and Recreational programs will progress in light of the number of state regulatory agencies involved. But stay tuned - her leadership will be crucial! She is seeking re-election as governor in 2018. She is also a staunch supporter of legalized cannabis, one of the state's governors who responded to Attorney General Jeff Sessions in the summer of 2017 about his unfounded issues with how legalization has evolved in the state. In February, 2017, Marks sent out a letter to the more than 900 recreational licensees that up to 20 percent were not in compliance with record-keeping rules - mostly growers - and warned of fines and loss of license. Steans is the Illinois senator who authored the bill to legalize marijuana. Two marijuana legalization bills by her and state representative Kelly Cassidy were kicked down the road when the Illinois legislative session ended in June, 2017, with the intent of revisiting and potentially revising them in January, 2018 when the next legislative session begins. In July, 2016, Rauner signed SB 10 into law, which extends the Illinois medical cannabis pilot program to at least July 2020, and added post-traumatic stress disorder (PTSD) to the list of qualifying medical conditions. The law also changed requirements related to medical marijuana recommendations by physicians. Additionally, in July, 2016, Rauner signed SB 2228 which would remove the possibility of arrest, jail, and a harmful criminal record for people in possession of a small amount of marijuana. Known as the Godfather of Cannabis in Nevada, Segerblom fathered Nevada's Medical Marijuana law as Senate Bill 374 in 2013. He was a co-chair of the 2016 ballot initiative campaign to pass Nevada and MPP's recreational marijuana initiative, Treat Marijuana Like Alcohol. That initiative, Question 2, passed, with the plan to begin recreational sales in January, 2018. But Segerblom introduced measures to open up the retail market on July 1, 2017, which passed, and he became the first customer to purchase legal recreational cannabis at one second after midnight, July 1. Issues about public consumption in Nevada remain to be solved. In October, 2016, Brezny, the former executive director of the Nevada Cannabis Industry Association, announced that the Question 2 initiative to legalize recreational cannabis in Nevada, which was promoted by the Coalition to Regulate Marijuana Like Alcohol, was endorsed by the state’s largest labor union – Culinary Workers Union Local 226, which represents more than 57,000 workers. The initiative passed a month later. Gilbert, the health program manager for the state of Nevada since 2009, is working on filling dispensary inspector positions in Nevada through the end of 2017. A strong advocate of the medical marijuana industry in his state, Wolf has led Pennsylvania since April, 2016 to approve 294 applications; complete temporary regulations for growers/processors, dispensaries, practitioners and laboratories; released applications for medical training providers and laboratories; issued permits to 27 entities for dispensaries and 12 entities for grower/processers; developed the Medical Marijuana Physician Workgroup; and awarded a contract to MJ Freeway for electronic tracking of medical marijuana. Prior to his position as deputy director, Clark was a deputy division director at the Centers for Medicare and Medicaid Services (CMS), overseeing Medicaid eligibility and enrollment under the Affordable Care Act, and a director within the Health Information Technology Program under the American Recovery and Reinvestment Act. Before his tenure at CMS, Clark served as a healthcare specialist and legislative director in both the House and administration. Collins was named to the office in August, 2016. He is responsible for guiding the implementation of the state's medical marijuana program, which is expected to be complete by early 2018. Levine supports and promotes physicians who want to work with medical marijuana patients to register with the department, as required by Pennsylvania medical marijuana law, and expects to recruit physicians between July, 2017 and the end of the year. The former presidential candidate reluctantly signed legislation in June, 2016, and oversees its implementation. Those who want to grow medical marijuana commercially must apply with the Ohio Department of Commerce, and rules are being developed. He is an outspoken critic of medical marijuana, commenting during a press conference in March, 2017, that he doesn't think medical marijuana can help with the opioid crisis in the state. Passafume, a practicing pharmacist and member of the state of Ohio Board of Pharmacy, was appointed to the Ohio Medical Marijuana Advisory Committee in October, 2016. The Medical Marijuana Advisory Committee is coordinated by the Board of Pharmacy. The committee may develop and submit to the Department of Commerce, State Board of Pharmacy, and the State Medical Board, any recommendations related to the Medical Marijuana Control Program and the implementation and enforcement of the related Ohio Revised Code. After creating a medical marijuana program in the state of New York, Savino, along with state Assemblyman Richard Gottfried, continues pushing to expand the law that the Cuomo administration watered down to create the most restrictive marijuana program. One bright spot: The New York State Senate in June, 2017, passed legislation sponsored by Savino to add post traumatic stress disorder to the list of qualifying conditions treatable with medical marijuana in the state. Savino currently serves as chair of the Senate Standing Committee on Banks and has previously served as chair of the Labor Committee, the Civil Service and Pensions Committee and the Children and Families Committee. Bronstein is co-founder and president of Bronstein & Weaver, Inc. - one of the nation's leading Democratic political media, strategic messaging, and government affairs firms. Bronstein has been a thoughtful voice of the emerging cannabis industry and is the co-founder of the American Association for Cannabis & Hemp (ATACH), where he directs all national and state level strategy. In June, 2017, the ATACH and Pennsylvania's medical marijuana license winners announced the formation of ATACH's Pennsylvania Coalition of Marijuana License Holders. He has been called one of Philadelphia's Mover & Shakers in marijuana by the Philadelphia Voice, and was featured as one of The 11 People Leading the Charge for Legal Pot in Philadelphia Magazine for his leadership of ATACH's Pennsylvania medical cannabis strategy. Bronstein also serves as: a national executive board member of the Coalition for Responsible Cannabis Production, a campaign strategist for New Jersey United for Marijuana Reform, as well as a member of Florida's United for Care policy committee. Margolis is shareholder at Greenspoon-Marder's cannabis law practice group, and founder and director of the Oregon Cannabis PAC and the Oregon Cannabis Association, which is the largest professional cannabis association in the state of Oregon. She has been involved in the Dispensary Rules Advisory Board, and the Better People panel on the state of medical marijuana. Grohe is the federal health minister for Germany who manages the German medical marijuana program approved in March, 2017 - a full four years after the country legalized medical marijuana. Jameson, named executive director of the 16-member commission in April, 2016, is a former state trooper with the Maryland state police from 1987-1999 who also ran for sheriff in a Maryland county in 2013. The commission issued the first grow license in Maryland in May, 2017, to ForwardGro. In February, 2017, Snyder released a budget that included nearly $9 million in regulatory fees to support medical marijuana regulations and enforcement provisions. In May, 2017, he appointed five board members to the state Medical Marijuana Licensing Board. The board will regulate growth, processing, transportation and selling of medical marijuana. Former Republican Speaker of the House Rick Johnson will be chairman. Senate Majority Leader Arlan Meekhof appointed Johnson. Other members include Nichole Cover, a health care supervisor for Walgreens, and Donald Bailey, a retired Michigan State Police sergeant. Edgerton is the Director for the Michigan Department of Licensing and Regulatory Affairs. Prior to joining LARA, Edgerton dedicated 27 years of service to the state legislature where she served most recently in the capacity of Deputy Senate Majority Counsel in the Senate Majority Policy Office. She also previously held titles of Assistant Senate Majority Counsel and Chief of Staff for Senator Dave Honigman. Robinson was named executive director of the California Cannabis Industry Association in January, 2016. Prior to that, Robinson was the director of development for the Marijuana Policy Project. She oversaw MPP's national fundraising and membership strategies. She was one of the primary fundraisers for both Amendment 64, the 2012 ballot initiative to regulate marijuana like alcohol in Colorado, and Ballot Measure 2, a similar initiative that made marijuana legal in Alaska in 2014. Dr. Gottlieb was sworn in as the 23rd Commissioner of Food and Drugs on May 11, 2017. Dr. Gottlieb is a physician, medical policy expert, and public health advocate who previously served as the FDA's Deputy Commissioner for Medical and Scientific Affairs. Prior to that, he was a senior advisor to the FDA commissioner. In a PowerPoint presentation released in July, 2017, the FDA stated that it has a clear role in supporting scientific and rigorous assessment of marijuana, including product development and regulation of marketing. But it also pointed out that the promise of safety, efficacy and reliability is not good enough. However, the presentation showed, the FDA needs to do all it can to support the needed scientific research with marijuana to characterize its therapeutic promise. Sherer is founder and Executive Director of Americans for Safe Access (ASA), the largest national member-based organization of patients, medical professionals, scientists, and concerned citizens promoting safe and legal access to cannabis for therapeutic use and research. Sherer has become the foremost international leader and expert on medical cannabis patient advocacy and, alongside American Herbal Products Association (AHPA), has created the first industry standards in the areas of distribution, cultivation, analytics, and manufacturing, packaging and labeling. Her direct experience with the medical benefits of cannabis and her political organizing background led her to form ASA in 2002 with the purpose of building a strong grassroots movement to protect patients and their rights. As a powerful advocate, a skilled spokesperson, and an energetic initiator of campaigns, Sherer has trained over 100,000 individuals across the country on civic engagement. Horton is the co-owner and partner of Saints Cannabis in Portland, and founder and board chairman of the Minority Cannabis Business Association (MCBA), the first non-profit organization founded to create equal access and economic empowerment for cannabis businesses, their patients and communities most affected by the war on drugs. The MCBA has members in 25 states, the District of Columbia, Puerto Rico, the Virgin Islands and Canada. He recently joined the board of directors for the Resource Innovation Institute, an organization that is building the central platform for energy issues and collaboration with the cannabis industry. Norquist founded the Americans for Tax Reform (ATR), a taxpayer advocacy group, in 1985 at President Reagan's request. ATR works to limit the size and cost of government and opposes higher taxes at the federal, state, and local levels. The ATR supports tax reform that moves towards taxing consumed income one time at one rate. Appointed by Governor Charlie Baker, Sudders leads the largest executive agency in state government, overseeing a $22 billion state budget, twelve agencies and 22,000 public servants. EOHHS services directly touch the lives of slightly more than 1 in 4 residents of the Commonwealth. Sudders responsibilities include the state's MassHealth (Medicaid) program that provides health coverage to 1.9 million low income or disabled residents, chairing the board of the state's health care marketplace (The Connector), the Autism Commission and the Center for Health Information and Analysis (CHIA) Oversight Council. She also co-chairs the Governor's Interagency Council on Homelessness and the state's first Governor's Council to Address Aging in Massachusetts. Sudders is leading the Commonwealth's efforts to address the opioid epidemic and efforts to reform and strengthen the Department of Children and Families. Hoffman, who opposed legalization in Massachusetts, was named chair of the committee in September, 2017, and will serve a five-year term. He is charged with hiring the commission's executive director and other staff, and oversee the drafting of rules for marijuana cultivators, processors, plus medical and recreational dispensaries. He recently was quoted as saying that he expects recreational sales to begin in the state by July, 2018, with licensing beginning in June, 2018. Baker was inaugurated as the 72nd governor of the Commonwealth of Massachusetts on January 8th, 2015, after several decades of service in both state government and the private sector. He graduated from Harvard College and earned an MBA from Kellogg Graduate School of Management at Northwestern University. Baker began his career in public service by serving as secretary of Health and Human Services in 1992 under the Weld administration. In 1994, Baker was appointed Secretary of Administration and Finance by Governor Paul Cellucci. Prior to being elected as governor, Baker served as chief executive officer of Harvard Pilgrim Health Care from 1999 to 2009, and served as an entrepreneur in residence at the venture capital firm General Catalyst Partners. In July, 2018, he signed a compromise medical marijuana bill into law. The compromise legislation was between the Massachusetts House's demand for overhaul of the original voter-approved law, and the state Senate's bid for lesser changes. The House originally pushed for a law that taxed recreational cannabis at 28 percent, a jump from the voter-approved 12 percent. Under the new law, recreational marijuana will be taxed 17 to 20 percent, depending where you buy it. Medica is the Italian state-approved drug czar. Italy legalized medical marijuana in 2007. The country began producing medical cannabis in Italy with the resources of the Italian army in 2014, sending it to pharmacies across the country, and was recently asked to double production. Sanchez brings nearly thirteen years of international and domestic drug policy experience from her work at Human Rights Watch, where she served as co-director of the U.S. program. She has big shoes to fill following industry advocate Ethan Nadlemann. Likely the next governor of N.J. and Democrat who has championed legalization, he recently demonstrated his support for N.J. Senator Cory Booker's bill to legalize marijuana. The conservative Republican, a cancer survivor, along with Daylin Leach, was the primary sponsor of Senate Bill 3 - the Compassionate Use of Medical Cannabis Act - that Governor Wolf signed into law. His senate colleagues recognize his efforts to gain support for the bill vote-by-vote in the state legislature. Pennsylvania is currently in the process of implementing the act. Leach is an ardent supporter of legalizing marijuana and ending the failure of prohibition. He was one of the key advocates and drivers producing Senate Bill 3, the Compassionate Use of Medical Cannabis Act, that legalized medical marijuana in Pennsylvania in April, 2016. Details of that act are being worked out now in the state. O'Keefe has been active in cannabis advocacy since 2003. She played a significant role in MPP's successful medical marijuana campaigns in Montana (2004) and Rhode Island (2006). She managed MPPs state legislative department during medical marijuana victories in Delaware, Maryland, Minnesota, New Hampshire, and Illinois; as well as successful decriminalization campaigns in Delaware, Maryland, Rhode Island, and Vermont. She is responsible for updating MPP's model legislation, which formed the basis for several laws. Under Walsh's leadership, Marijuana Business Daily covers financial and legal news of interest to cannabis dispensaries, investors, lawyers, and related vendors. Walsh has been quoted in numerous publications including MarketWatch, USA Today, and the Boston Globe. He led the research team for the Marijuana Business Factbook 2013. Freedman was appointed the state's first director of marijuana coordination by the governor. He ensured the efficient and effective regulation of Colorado's retail and medical marijuana while promoting public health, maintaining public safety and keeping marijuana out of the hands of children. He managed hundreds of millions of dollars of marijuana tax revenue and guided the administration through difficult regulatory, legal, and personnel issues as Colorado became the first state in the world to regulate recreational marijuana. Koski was the director of the Colorado Marijuana Enforcement Division during the legalization of marijuana. Lewis played a pivotal role building the first agency in the world to implement medical and retail marijuana policy, constructing innovative strategies to develop balanced regulations, launching the first marijuana inventory tracking system and finding solutions to some of the biggest challenges the state faced developing and implementing divisive mandates related to contemporary marijuana laws. Verges is the chairwoman of the Catalonia Parliamentary Health Commission that voted to legalize marijuana in June 2017. Blok recently released figures showing that the number of coffee shops in the Netherlands continues to go down, now at 573 or 18 fewer than in 2016, as a result of stricter rules in Amsterdam about where the shops can be located. Voboril is one of the leading Czech experts on drug issues, which is evidenced by his nearly 20-year experience with the leadership and development of health care and social services and programs related to the topic. From 2000 to 2009, he actively took part in the preparation of the National Anti-Drug Strategy, as well as in projects financed by the European Commission, including the Phare LIEN and Partnership, Asia URBs, and Access 2000 programs. In June, 2017, Seagull annouced that she would follow the Medical Marijuana Board of Physician's recommendations to add three conditions: hydrocephalus with intractable headaches, intractable migraines, and trigeminal neuralgia. Scott vetoed a project that would have provided millions to research medical marijuana in early June, 2017. He then announced that he would be organizing a commission to study legalized marijuana through an executive order, before signing a broader medical marijuana bill into law in late June. The new law creates a plan to license 10 new companies as growers by October, bringing the statewide total to 17. Gallagher joined the New Mexico Department of Health (NMDOH) as deputy cabinet secretary in August 2013. In 2016, Governor Susana Martinez appointed her secretary of health. Among many public health priorities, she is committed to preventing and treating substance abuse, improving health outcomes for all New Mexicans, strengthening vaccination rates statewide, and advancing community engagement in health priorities throughout New Mexico. Levine oversees all of LivWell's national government affairs and new business expansion. Before joining LivWell, Levine worked on cannabis policy reform for the majority of his professional career. As a former department head at the Marijuana Policy Project, and later in private practice, he has worked towards the end of cannabis prohibition in over 20 states throughout the country. Scutari is the N.J. state senator who drafted the bill to legalize marijuana. In May, 2017, he laid out the details of his bill to create dispensaries and a new regulatory agency, modeling his plan after Colorado's. The bill is thought to have no chance of passing during Governor Chris Christie's term, which expires in January, 2018. Title is co-founder of THC Staffing Group and a member of the Massachusetts Cannabis Control Commission who co-authored the state's legalization measure. In 2010, Dr. Henry-Tillman was appointed as a member of the Advisory Committee on Research on Women's Health at the National Institutes of Health (NIH). She is a surgeon in Little Rock, Arkansas. She received her medical degree from the University of California San Diego School of Medicine, and has been in practice for more than 20 years. She was named chair of the five member Arkansas Medical Marijuana Commission in December, 2016 by Arkansas Governor Hutchinson. This addition to the list may come as a surprise, since the governor stated in October, 2015, that he did not want to legalize marijuana. His ranking as number 76 comes with a shift in his opinion, who now wants the legislature to pass a "meaningful" medical marijuana bill that will "actually work." He signed a landmark medical marijuana bill into law on May 19, 2016 that should make medical marijuana available to patients in Louisiana. Turner is assistant secretary of Australia's Health Department Therapeutic Goods Administration Office of Drug Control. In June, 2017, he said that the country has taken in a number of applications into its medical marijuana program since October, 2016. Some of those have been withdrawn, a number of those are being assessed, and a number of those licenses have been granted. They have granted 13 licenses so far in 2017, with seven for medicinal cannabis, which allow the cultivator to grow cannabis for therapeutic uses. In June, 2017, the country relaxed rules on importing cannabis to allow for more product to come in. Hunt warned that that could open the floodgates to diversion of quantities to the black market. Ige was sworn in as the eighth governor of the State of Hawaii on December 1, 2014. He became the fourth native-born governor of Hawaii, and first governor in the U.S. of Okinawan descent. Hawaii legalized medical marijuana in 2000 but was slow to roll out their program. They became the first state to use a cashless system at dispensaries in September, 2017. Gupta is the chief medical reporter at CNN. Well known as CNN's medical reporter and host of the "Weed" series on CNN, Dr. Gupta helped alter the perception of cannabis for many individuals not seeking information. The third installment of the series was released in 2015. Abbot was elected the 48th governor of Texas in 2014. He was the 50th and longest serving Texas attorney general, and also served as a justice on the Texas supreme court, and as a state district judge in Harris County. Two marijuana reform bills in this CBD-only state died in the legislature in May, 2017, with no additional movement by any cannabis-related bill to come until 2019, and no ballot initiatives possible in this state. McGraw, a former Texas state trooper, Texas Homeland Security director and special agent for the FBI, became the director of the Texas Department of Public Safety in August, 2009. The DPS has approved just three CBD-only dispensary licenses as of June, 2017, out of a reported 43 applications. Smith heads up the largest trade association representing legal cannabis businesses in the U.S., and the only one working to advance the industry on a national level. Prior to launching NCIA, Smith distinguished himself as a public advocate for marijuana policy reform, first under the auspices of a California-based medical cannabis advocacy group, Safe Access Now in 2005, and then as the California state policy director for the Washington, D.C.-based Marijuana Policy Project until founding NCIA in 2010. Smith has successfully built coalitions with elected officials on both sides of the aisle in order to advance marijuana law reform legislation. Colorado’s licensing and regulatory program. In 2013, Keahey began advocating for industrial hemp legalization in the state of Tennessee. She founded the first state chapter of the Hemp Industries Association, known as the TNHIA. After successfully presenting to the Tennessee General Assembly, the hemp law that was considered a "non-priority" became law with near unanimous support. A key component to success was utilizing social media and launching social campaigns in the style of education-based marketing. She was recruited by Vote Hemp as National Outreach Coordinator. Vote Hemp is the nation's single-issue non-profit advocacy organization founded in 2000 by members of the hemp industry to remove barriers to industrial hemp farming in the U.S. through education, legislation and advocacy. Since 2002, Fox has been one of the leading figures in the movement to create a legal, regulated marijuana market in the United States. He is a co-founder of the National Cannabis Industry Association and currently serves as the director of NCIA’s Policy Council. He is also an advisor to the New Federalism Fund. In seven years at the Marijuana Policy Project, he lobbied Congress and guided numerous ballot initiative campaigns, including the 2012 Amendment 64 campaign in Colorado. Dr. Zucker, the NY state health commissioner tasked with that state's medical marijuana regulations, announced a new set of regulations in August, 2017, that, once adopted, will allow for the sale of additional medical marijuana products, an improved experience for patients and visitors at dispensing facilities and the addition of new courses that will allow prospective practitioners to complete their training in a shorter amount of time. Raimondo is the state's first female governor. In June, 2017, she proposed adding six more dispensaries to the three already in the state, and increasing licensing fees, to generate another $1.5 million for the state. In the 2016 legislative session, Slater sponsored legislation that became law that adds post-traumatic stress disorder to the definition of debilitating medical conditions to qualify for medical marijuana, provided that the patient is 18 years of age or older. He once again sponsored legislation that would remove the state's prohibition on adults using, possessing and cultivating marijuana for personal use, and establishes a system of regulated marijuana retail distribution to adults 21 and older. Nevares is governor of Puerto Rico who created advanced legislation about legalization from a 2015 executive order. Padilla is the former governor of Puerto Rico. Despite Puerto Rico being a US territory, the governor called for legalization of cannabis in his country. Padilla is a powerful pro-cannabis voice in the Latino community. Davidson served as the senior director of Legal and Intergovernmental Affairs for the Alaska Native Tribal Health Consortium, where she represented Alaska Native health needs at federal and state levels. The first recreational marijuana stores opened in December, 2016, in Alaska nearly two years after voters approved recreational use. As of August, 2017, state regulators are now seeking public comments about whether or not - or when - to open social use clubs in the state. Hudak is the deputy director, Center for Effective Public Management at the Brookings Institution. Along with several of his colleagues at one of the oldest D.C.-based think tanks, Hudak published numerous policy papers surrounding the legalization of marijuana in the U.S. and abroad. The Doctors are co-chairs of the Native Indian Cannabis Coalition (NICC), which was formed to help move tribal leaders through information hurdles of creating cultivation and manufacturing facilities. NICC is an educational resource for information on the medical benefits of cannabis; economic development opportunities for building a self-sustaining cultivation project from seed to sale; and investing with consideration for public health and safety. This former offensive tackle for the Baltimore Ravens has been in the news frequently for taking a stance for NFL players being able to use cannabis as a medical remedy. His website states that his mission is "for the NFL to remove marijuana from the banned substances list; fund medical marijuana research, especially as it relates to CTE; and stop over prescribing addictive and harmful opioids." In April, 2017, Pasquariello - a native of Colorado and freelance ski sports writer - became the new editor of The Cannabanist, part of the Denver Post, created as a platform to report on the national news and culture of cannabis. Correia has worked tirelessly on Capitol Hill on banking and tax reform, along with other legislative issues that are critical to the industry's success. Dr. Rattay has been director of Delaware's HSS since 2009. Between September 2001 and June 2004, Dr. Rattay served as a Senior Public Health Advisor to the Surgeon General and Assistant Secretary of Health in the Office of Disease Prevention and Health Promotion, Department of Health and Human Services (HHS) in Washington, D.C.
Vazquez continued with the legalization initiative started by his predecessor, Jose Mujica, in a country where the majority of the population is against it. In leading the international journey to cannabis legalization, he openly criticized the abusive and dangerous tobacco industry. He defends his country's sovereign right to act in the interest of public health, and has added much momentum to the international struggle for legalization. In October, 2016, Salas, a human rights activist in Costa Rica who has a masters of public administration from Harvard University, was appointed president of Vamos, a new political party made up of long-standing Costa Rican human rights activists who want to fight for more liveable and humane cities; changes in drug policy; and updates to labor legislation. Filed Under: Policy & Legal, Spotlight Tagged With: CBE's Political 100 list, international front, marijuana legalization initiatives, Neal Levine, New Federalism Fund (NFF), rankings, Trudeau administration, ultra-competitive worldwide industry, Washington D.C.